You enabled your first alert! You can set alerts for any product you want! If you want to be alerted for a specific price, change it into the input. We check the price every day, you will be alerted as soon as we see a price change! If you like this service, please take a moment to share it with your friends! Please give us your email to get alerted when price drops. If you don't want to give us your email, come back with a Chrome browser, we will notify directly to your browser! 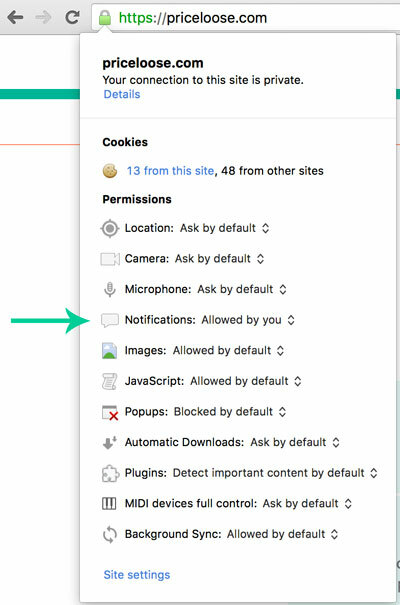 Click on the lock on top left, then click on Notifications and change "blocked by you" to "always allow on this site"